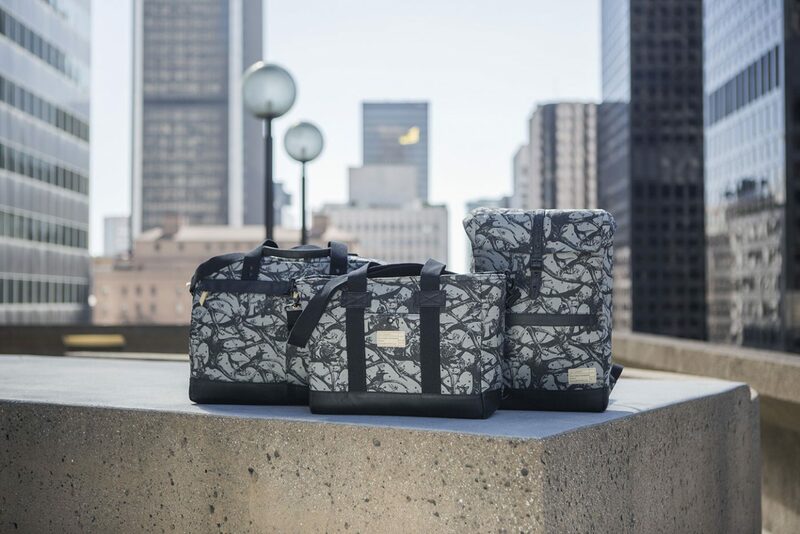 HEX has collaborated with Japanese artist, Toyoki Adachi under his Nowartt label, to release a collection of bags and accessories. 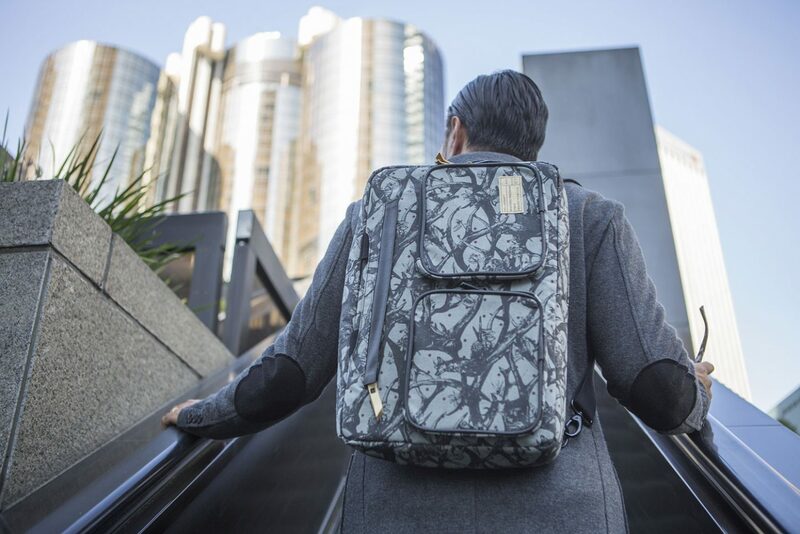 The art is printed on canvas that is then waxed for water resistance and durability and combines HEX’s signature surplus grade cotton web strapping and interior micro fleece lined pockets. 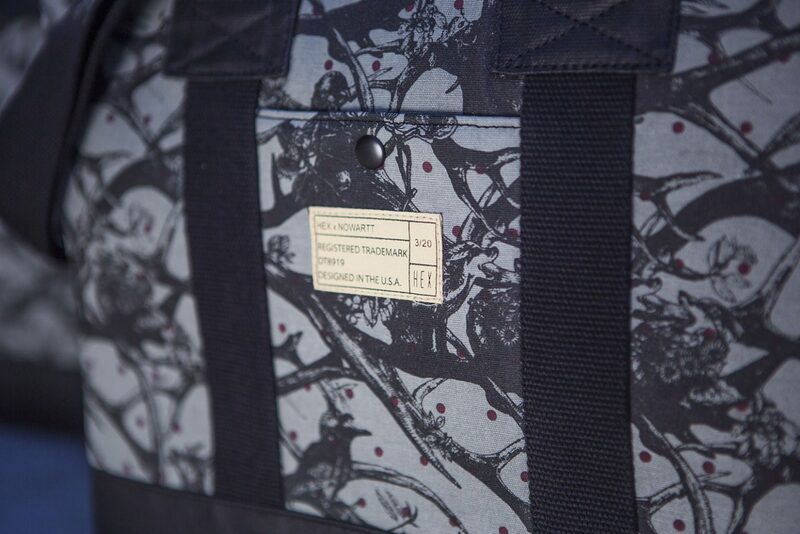 The design for the graphic was inspired by the idea of “Peace Camo” / “Horn Tree” with the concept creating a scene of overlapping horns of deer, reindeer, and moose as a forest indicating a safe life of animals in the forest and awareness of the natural environment promoting harmony with nature and peace. 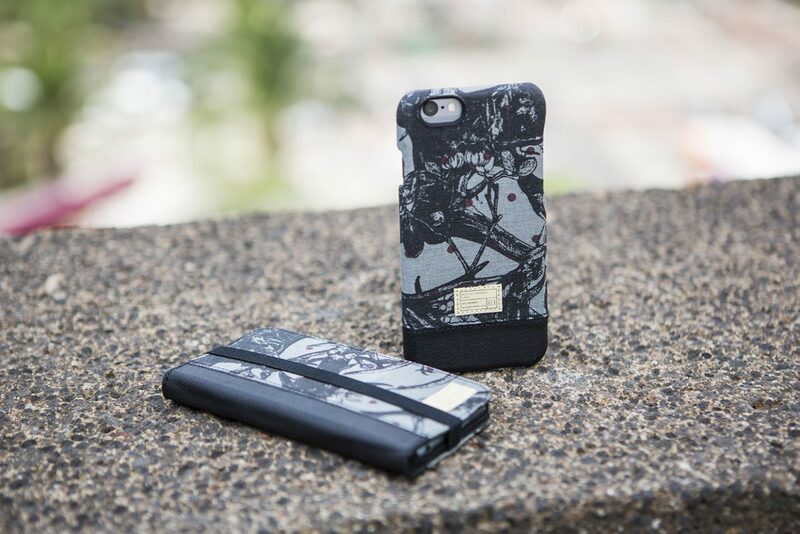 The capsule collection contains 7-pieces from a tote, backpack to iPhone case and is priced from $50 – $140.